The road heading East from Moscow is a bit too straight and flat. I knew it was going to be a push and I wanted to cover some ground to get down to the Altai mountains. This apparently is where all the fun starts. On route not too far from Moscow I met a guy called Anatoli. He was Russian and heading to Magadan. We stopped at a garage and chatted. Looked over each others bikes. Within thirty minutes he had invited me to travel with him for a few days at least as we were heading in the same direction. The following days mainly consisted of eating up the mileage and staying at friends places he knew. We had a good mixture of camping and sofas. I met a lot of other bikers, drunk vodka and generally had an interesting time. We stopped with one group he knew. Big group of bikers and they fed me, gave me vodka and gave me a bed for three nights. 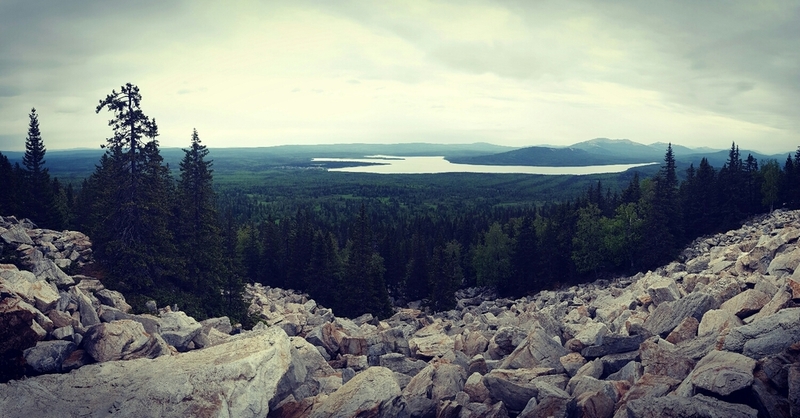 During this time we spent a day hiking in the South Ural Mountains. It was great to get off the bike and hike again. But I have realised how my fitness has dropped since leaving home. But that was always expected. After about five days I decided to leave and go alone for a bit. I still need a bit of solitude after my stay in Moscow. I can't thank Anatoli enough for the amazing time I had thanks to him. And was great to share stories and have some support on the road. The next three days were tough. Long days in the saddle and wild camping off the highway. It was very hot and the mosquitos were unbearable. Never seen anything like it. The road was so straight and boring. Eventually I made it to my destination of Barnaul. I heard a lot about this town and heard it was cool to stay in. So I decided to treat myself to a hotel room for two nights. 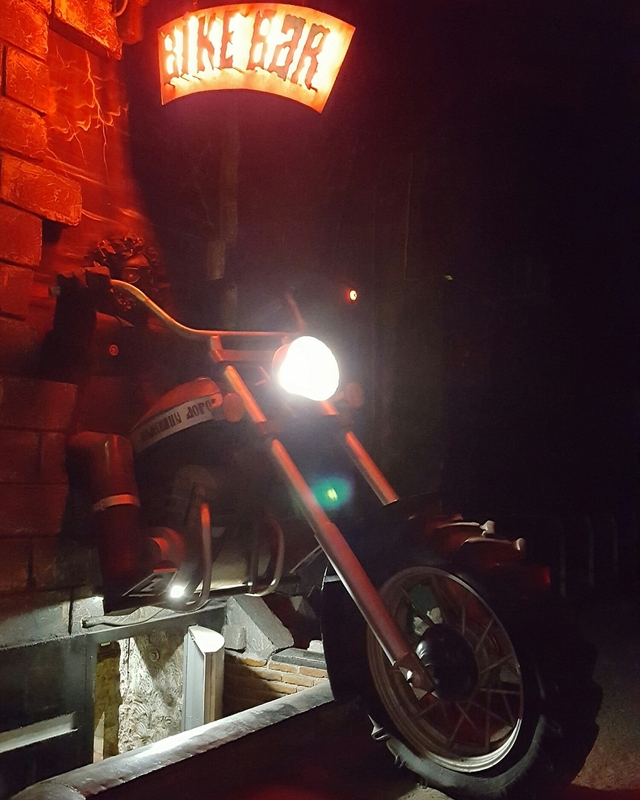 My time in Barnaul involved doing an oil change, eating lots of food and drinking at the infamous biker bar. I met two other riders in the bar, Herbert from Germany and Silas from Switzerland. They too were heading my way and I decided to stay another night and ride with them to have a little support on the road. The plan is to ride through the Altai mountains towards the Mongolian border. It always amazes me on this trip how I manage to meet so many cool people. Perhaps I've been lucky. I've heard terrible stories before I left but so far everything has been great. I've had a good mixture of alone time, to meeting people. From wild camping to a nice hotel room. It's all part of the trip I guess. It really does make me smile deep inside when I look back through my memories of the past two months. My mind is getting so relaxed with this way of living. It's becoming normal which is incredible. You can't fight it. You have to go with the flow or you won't enjoy it. I don't plan too much and I let the adventure come to me. Stayed tuned guys. My next installment blog will be of the Altai mountains. I'm really excited and can't wait to share with you. As always, thank you for all your support. It means so much to me to read all your positive comments. You can follow my trip through this website and through my social media at Facebook, Instagram, Twitter and YouTube.